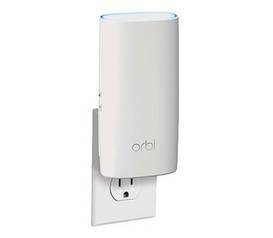 This add-on Orbi wall-plug Satellite expands your Orbi Home WiFi System coverage by up to 100 square metres with high-performance AC2200 WiFi. Bring high-performance WiFi coverage to every room of your home. Available in a wall plug form factor, for easy, hassle-free placement. Just plug the Satellite into any electrical socket to extend WiFi coverage.